Wireless sensor and actuator devices with direct IPv6 Internet access with no human interaction compose the IP-connected Internet of Things (IoT). These devices are resource constrained in processing, memory, and energy—battery operated. IoT devices can have various applications. Although, when directly connected to the Internet they are susceptible to threats (e.g., malicious tamper of packet content to reduce the reliability of device data, the flood of requisitions for the devices to drain their energy). In this way, the literature shows the use of end-to-end security to provide confidentiality, authenticity, and integrity of IoT devices data. However, even with the benefit of secure IoT data, they are not enough to ensure reliable measurements. For this reason, this work presents a reliability model for IoT, focused on the identification of anomalous measurements (using multivariate statistics). In the experiments, we use spatial (proximity) and temporal (time interval variation) correlation, and datasets with true and false data. Additionally, we use an end-to-end secure scenario and analysis of energy consumption. The results prove the feasibility of the triad: reliability (within a system that identifies the type of the anomalous measurements), security, and low energy consumption. This work is funded by the Huawei Company—project number: 2994. The project is managed by Foundation of Support to the University of São Paulo (FUSP) and Eletronic Systems Department of University of São Paulo (PSI). Number of Company / Institution Agreement: OTABRA09160202003286840274. Granjal, J., Silva, R., Monteiro, E., Sa Silva, J., & Boavida, F. (2008). Why is IPSec a viable option for wireless sensor networks. In 2008 5th IEEE international conference on mobile ad hoc and sensor systems. IEEE, pp. 802–807. https://doi.org/10.1109/MAHSS.2008.4660130. Hui, J., & Thubert, P. (2011). Compression format for IPv6 datagrams over IEEE 802.15.4-based networks. https://tools.ietf.org/html/rfc6282. Accessed Feb 2015. IBRL: Intel Lab Data (2004). http://db.csail.mit.edu/labdata/labdata.html. Kasinathan, P., Pastrone, C., Spirito, M.A., & Vinkovits, M. (2013). Denial-of-Service detection in 6LoWPAN based Internet of Things. In 2013 IEEE 9th international conference on wireless and mobile computing, networking and communications (WiMob). IEEE, pp. 600–607. https://doi.org/10.1109/WiMOB.2013.6673419. Kushalnagar, N., Montenegro, G., & Schumacher, C. (2007). 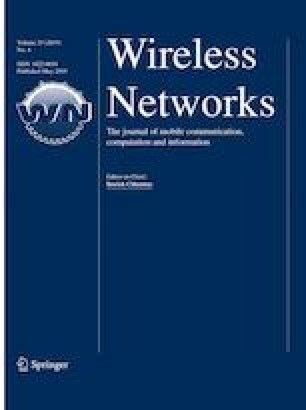 IPv6 over low power wireless personal area networks (6LoWPANs): Overview, assumptions, problem statement, and goals. https://tools.ietf.org/html/rfc4919. Accessed Feb 2015. Moshtaghi, M., Leckie, C., Karunasekera, S., Bezdek, J. C., Rajasegarar, S., & Palaniswami, M. (2011). Incremental elliptical boundary estimation for anomaly detection in wireless sensor networks. In: 2011 IEEE 11th international conference on data mining, 1, pp. 467–476. IEEE. https://doi.org/10.1109/ICDM.2011.80. Rajasegarar, S., Bezdek, J. C., Leckie, C., & Palaniswami, M. (2007). Analysis of anomalies in IBRL data from a wireless sensor network deployment. In 2007 international conference on sensor technologies and applications (SENSORCOMM 2007). IEEE, pp. 158–163. https://doi.org/10.1109/SENSORCOMM.2007.4394914. Rantos, K., Papanikolaou, A., Manifavas, C., & Papaefstathiou, I. (2013). IPv6 security for low power and lossy networks. In 2013 IFIP wireless days (WD). IEEE, pp. 1–8. https://doi.org/10.1109/WD.2013.6686510. Raza, S., Duquennoy, S., Chung, T., Yazar, D., Voigt, T., & Roedig, U. (2011). Securing communication in 6LoWPAN with compressed IPsec. In 2011 international conference on distributed computing in sensor systems and workshops (DCOSS). IEEE, pp. 1–8. https://doi.org/10.1109/DCOSS.2011.5982177. Silva, A. A. A., Pontes, E., Zhou, F., & Kofuji, S. T. (2014). Grey model and polynomial regression for identifying malicious nodes in MANETs. In 2014 IEEE global communications conference. IEEE, pp. 162–168. https://doi.org/10.1109/GLOCOM.2014.7036801. Suthaharan, S., Alzahrani, M., Rajasegarar, S., Leckie, C., & Palaniswami, M. (2010). Labelled data collection for anomaly detection in wireless sensor networks. In 2010 sixth international conference on intelligent sensors, sensor networks and information processing. IEEE, pp. 269–274. https://doi.org/10.1109/ISSNIP.2010.5706782. Vučinić, M., Tourancheau, B., Rousseau, F., Duda, A., Damon, L., & Guizzetti, R. (2015). Oscar: Object security architecture for the internet of things. Ad Hoc Networks, 32, 3–16. https://doi.org/10.1016/j.adhoc.2014.12.005. Internet of Things security and privacy: Design methods and optimization.